My primary focus in Family Law as well as in all areas of my practice is now in the Collaborative Divorce Method. Through the Collaborative Process, the attorneys and other professionals (such as a communications coach, financial planner, child specialist, retirement specialist) assist the parties in resolving their divorce and other family law cases. We use interest-based negotiations (positive/constructive) rather than position-based negotiations (negative/destructive) without the trauma or expense of “going to court.” This is accomplished by face-to-face meetings where we explore the parties’ interests, goals and options and in a very civilized approach and reach a “win-win” resolution for the parties. The collaborative divorce process provides clients with a more peaceful process than traditional adversarial litigation (Going to Court). The process is private and in cases with children keeps them out of the middle. In many cases after using the collaborative method in their divorce both parents are able to be better parents to their children. A free book on the collaborative divorce process is available through my office or can be ordered through Amazon at the link below. This book was written by Denton County Collaborative Professionals and is used by collaborative professionals throughout Texas. I often recommend that both parties read the the book in advance of a first meeting with an attorney. To schedule an initial consultation with an experienced North Texas collaborative divorce lawyer, contact Attorney Camille Milner at 940-383-2674. 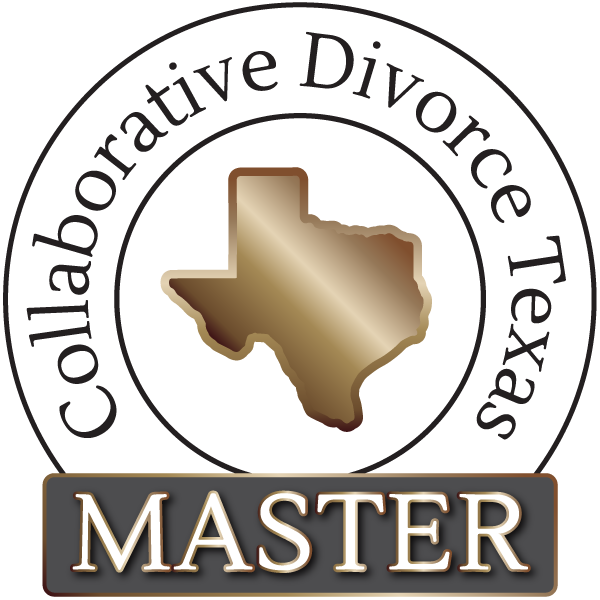 Camille Milner has been recognized by Collaborative Divorce Texas as a master credentialed collaborative professional.